Converse Industrial Equipment will help you work through the specifications for the Trailer Mounted Z-Boom, Articulating Z-Boom & Telescopic S-Boom heavy lift equipment requirements for your project. We are here to help your company complete its project with the most reliable heavy lift equipment, at competitive prices in South Texas. 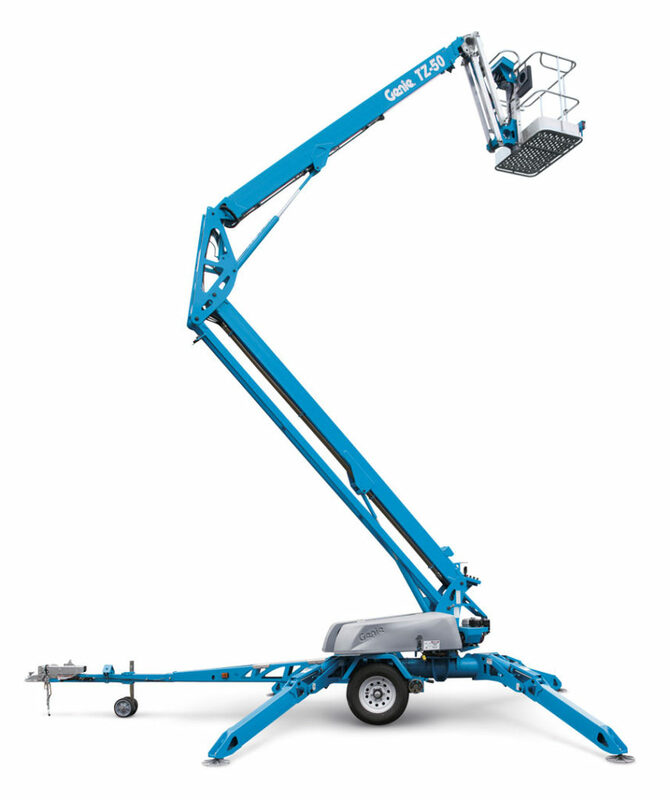 For more narrow access solutions our articulated boom lifts can drive through narrow doorways and/or congested areas. These articulating units proved versatile lift capability that includes a combination of up, out and over. noise level reduced and low emission electrical units. Trailer lift units provide for an easier approach for transporting lifts from one job site to the next. Hydraulic outriggers with automatic self-leveling allow the machine to setup in as little as 30 seconds for more convenient and efficient work solution. more narrow designs help for the unit to be used in almost all light-duty applications. Convenient to use in schools, churches as well as warehouses, these units are built with noise reducing and low emission electrical system. Each model is equipped with variety options and accessories for job site requirements and offer a more economical solution. positioning on for a more accurate reach. equipment the power needed to get to the places you need it to operate. of accessing where you need to operate. Our dual-fuel options give you the option for great indoor and outdoor flexibility.